To most Penguins fans, “TK” is Tyler Kennedy. Remember him? The productive depth center won a Cup with the Pens in 2009. In Wilkes-Barre/Scranton, “TK” is Tom Kostopoulus. No two ways about it. In WBS, “The Captain” isn’t Crosby, or Lemieux, it’s, Tom Kostopoulus. This week Kostopoulos announced that he would be retiring at the end of the season. 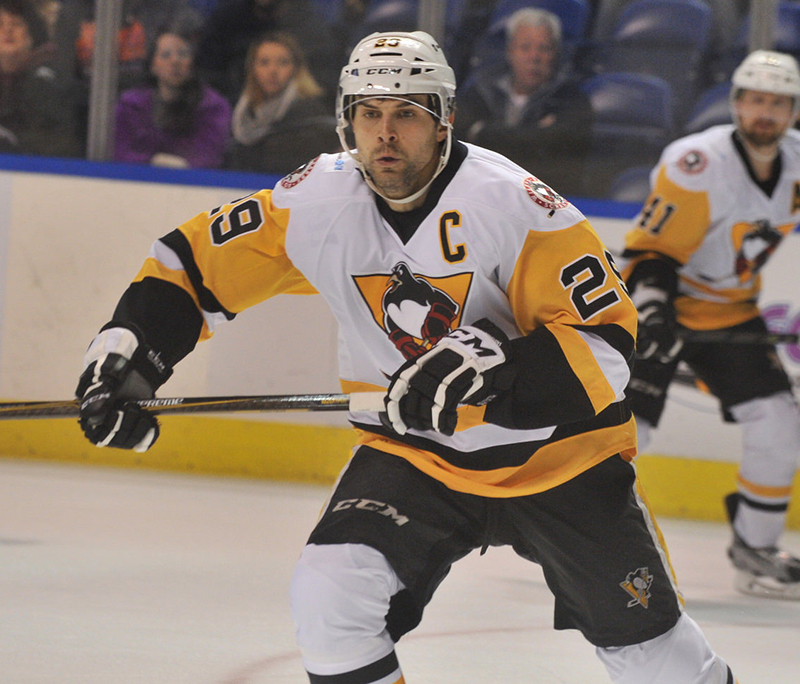 “No player has meant more to the Wilkes-Barre/Scranton Penguins, or represented the organization better, than Tom Kostopoulos,” - Wilkes-Barre/Scranton CEO Jeff Barrett (Jeff Barrett then dropped the mic and walked away). Let’s face it. TK is 39. We knew this was coming, but the idea of TK retiring before skating a Cup in WBS is a disappointment. Hopefully that doesn’t happen. If you haven’t been following the Baby Penguins, they're one point away from clinching their 16th consecutive playoff appearance. WBS will get a chance to win one for TK and let him retire on top. TK is the girl that got away, came back, left, and came back again to stay. He played for the Pens in 1999. That was their first season. Kostopoulous is one of the players whose career likely was hurt in a big way by the loss of the 2004-2005 season. He played 60 games for the NHL Pens in 2003-2004 making him an NHL regular for the first time in his career. He spent what should have been his entire sophomore NHL season playing for the AHL’s Manchester Monarchs. The longtime AHL veteran went on to play for the Kings, Habs, Canes, and Flames, until returning to the AHL in 2012-2013 with the WBS Pens for his second stint. TK got claimed on waivers by the Devils for 15 games in 2013 which was surreal. I feel like I went to half a dozen of those games in NJ wearing a TK jersey. No one knew what I was doing there. It was an odd and strange time. He returned to the WBS Pens for the 13-14 season and has been with the Baby Pens ever since. I sat in the bleeders in WB/S a few weeks back. TK was there watching the game. He looked like a scout, walked and talked like one too, until he celebrated the WBS goals. He left for the third period, which is something that scouts always do though so who really knows? Yet the past few seasons should show he has the mind of a coach. Recent graduates to the NHL like Sheary and Guentzel have nothing but thanks for the mentorship they received from TK in WBS. By all accounts he is the consummate professional, a great leader, and more importantly a great role model. If he wants it, I’m certain there will be a coaching position for him in the hockey world. It will be weird not having TK on the team. Although Kostopoulus’s 29 won’t be on the ice, it will be hanging from a banner over the ice next season for sure. Thanks for the memories TK. You will always have a home in Wilkes.